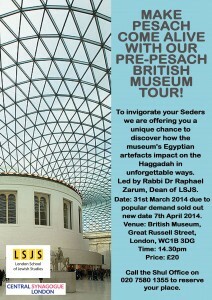 Make Pesach Come Alive with our Pre-Pesach British Museum Tour, led by Dr Raphael Zarum, Dean of LSJS. Date: Due to popular demand, additional date Monday 7th April 2014. Please meet at 2.25pm at the top of the steps outside the front entrance of the Museum on Great Russell Street. 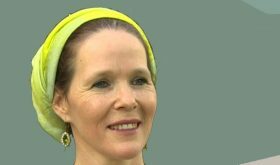 The nearest tube is Tottenham Court Road. 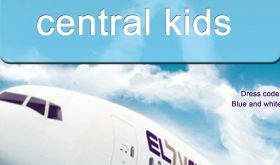 Please contact the Shul office on 020 7580 1355 to book your place.